The X40 is the next size up from the original X30: it’s 15% bigger. 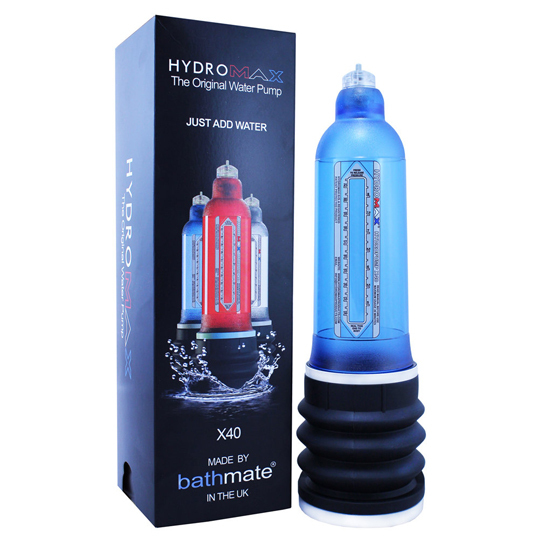 Hydromax is manufactured in Bathmates’ own factory in the United Kingdom and all parts are made from the highest quality materials and moulded to exacting specifications and tolerances. 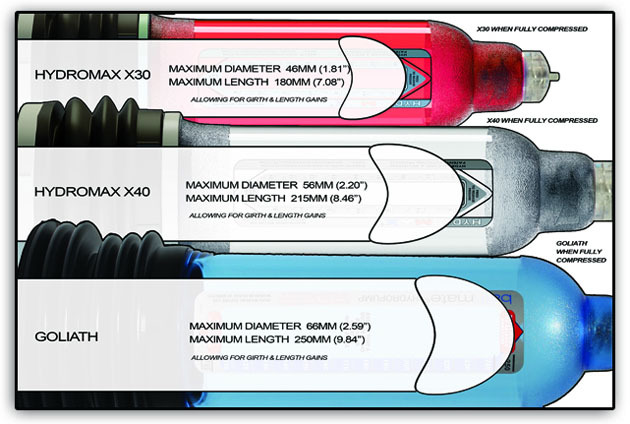 Hydromax pumps and their component parts undergo rigorous testing in Bathmates’ own test laboratory and are routinely tested to 100,000 usage cycles, equivalent to 3 years normal use.